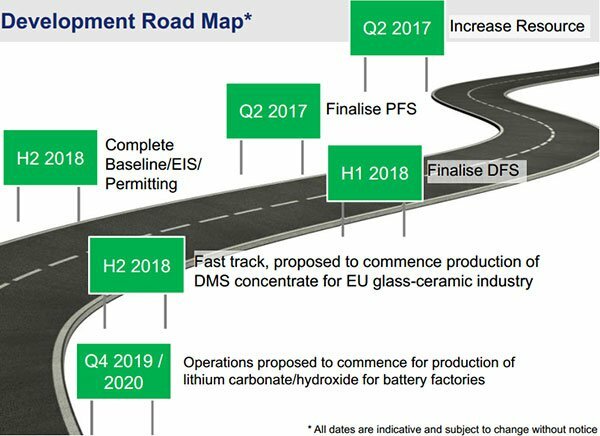 European Lithium (ASX: EUR) has released its much anticipated upgraded JORC compliant resource in relation to its Wolfsberg lithium project in Austria. As a point of comparison, the lithium resource as outlined in the group’s prospectus prior to listing on the ASX this year was 3.7 million tonnes ‘inferred’ at 1.5% lithium dioxide at a cut off of 0.75% lithium dioxide. The upgraded results feature a measured resource of 2.86 million tonnes grading 1.28% lithium dioxide and an indicated resource of 3.44 million tonnes grading 1.08 lithium dioxide. The total measured and indicated resource is 6.3 million tonnes grading 1.17% lithium dioxide. 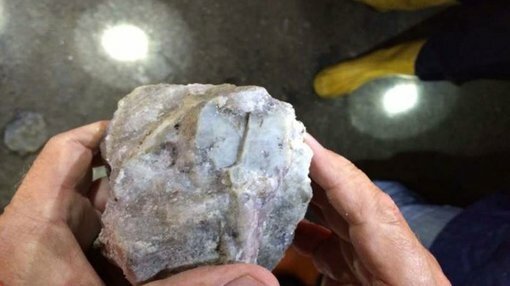 The key takeaway is that the company has increased its compliant resource tonnes by 75% and the contained lithium at 73,799 tonnes represents a 33% increase compared with the previous inferred contained tonnes of 55,500. It should be noted, however, that EUR still has several hurdles to jump with regard to their Feasibility Study and as such investors considering this stock for their portfolio, should seek professional financial advice. Chief Executive, Steve Kesler, said that having established an increased JORC compliant measured, indicated and inferred resource was a key step for the company in terms of developing a resource model that will facilitate the initiation of mine design studies essential in determining the maximum rate of underground mining that can be economically achieved. 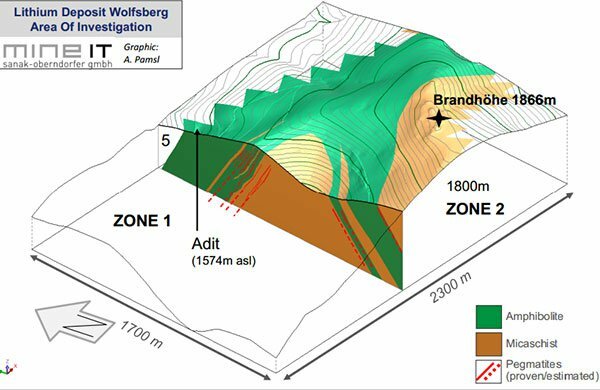 Kesler is of the view that the surface exploration program will confirm the continuation of the pegmatite veins with depth and extension into zone two (the southern limb of the anticline) which will be important to establish the longevity of the Wolfsberg project. The following graphic highlights the geological trends that Kesler believes will be instrumental in the company being able to further upgrade the resource leading to an extended mine life. Austria is ideally located in terms of servicing the heavy industrial manufacturing countries in Europe. 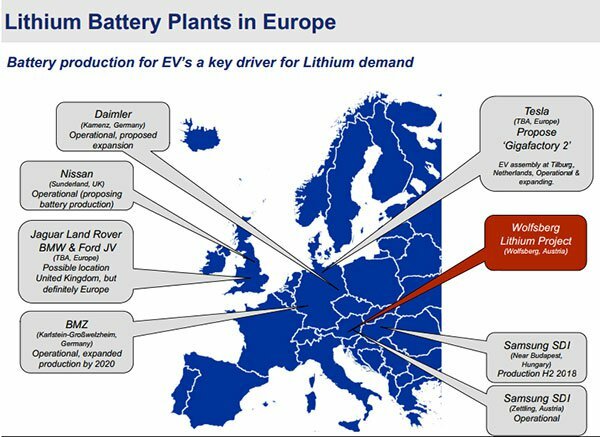 Germany is a prominent motor vehicle manufacturer, suggesting it will be a source of demand for lithium used in electronic vehicles. Both in Germany and surrounding countries there are existing plants that are in the process of being expanded, as well as new manufacturers coming on stream. In November, Tesla flagged Europe as the site for its second gigafactory. Samsung’s SDI manufacturing facility is expected to come on stream in the second half of 2018 and its Zettling plant in Austria is already operational. The following highlights the intense activity in the European region. While EUR has been quick to tick a number of the boxes flagged in its prospectus, 2017/2018 will be a busy period for the group as indicated below. Consequently, there is potential for further share price reratings despite the fact that the company’s shares have increased some 20% in recent weeks. However, it is impossible to predict share price movements and past trends should not be used as the basis for an investment decision. Furthermore, the goals mapped out below may or may not be met. Investors considering this early stage exploration stock should seek independent financial advice.